Understanding legal separation in North Carolina can be difficult without the right information. 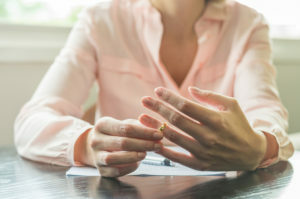 Our divorce lawyer in Durham NC is here to help you get a better idea of what being legally separated means should you and your spouse choose to part ways. In the state of North Carolina, legally separating from your spouse means that you both should be living in separate homes and have declared that permanent separation is inevitable. Written documents may not be required as long as you and your smiles are living in different homes. At least one party in the marriage needs to be intent on a permanent separation. Even if a romantic relationship has ended, it is not possible to live in the same home as your spouse if a permanent separation is what both of you want. 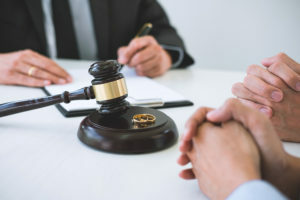 Though a married couple living in separate homes May declare legal separation, it does not apply to married couples who are romantically involved yet living in separate homes for work purposes. In our next blog post, we will talk more about legal separation, including a separation agreement. Be sure to visit back soon to learn more from our divorce lawyer in Durham NC. If you’re going through a separation and need help with filing for divorce, contact our divorce lawyer in Durham NC, today. We are here to help you through this difficult time. While you can do this alone, you shouldn’t have to. Let us help. Kevin E. Jones can help you if you find yourself with a DUI citation, injury and other legal matters in an ethical and proper manner. Don’t let your health, finances and overall wellbeing suffer because you’re unaware of your legal rights. Contact Durham lawyer, Kevin E Jones before making any final decisions. Things happen and many people go without the proper representation when they need it most. Don’t be just another number.